decided to put the new Block 52 F-16 into use as of 2009, instead of the Block 32 F-16. In addition to the already in use Block 32 F-16, you can assemble a Block 52 as well. newly-developed pilot figure is included. 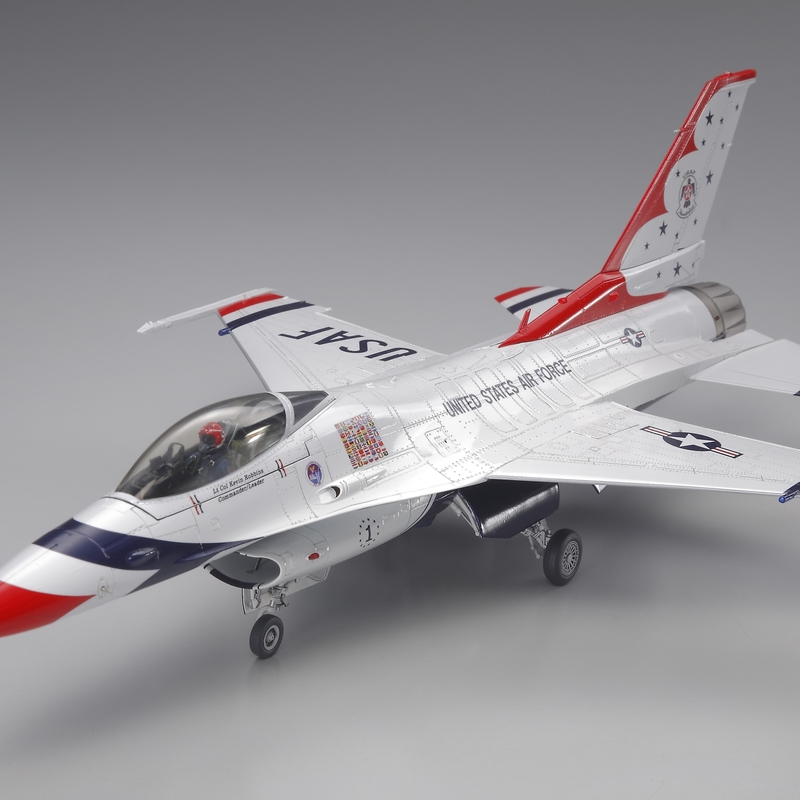 Crisply recreated markings allow depiction of the colorful Thunderbirds livery. The 60 year anniversary decals are also included. In addition to the 2007 specifications, Block 52 No.1 markings are also prepared.